Today, Macau is a “one country, two systems” success story, but economic problems could threaten its stability. There have been some protests in Macau, most notably against a bill that would have given top officials luxurious retirement packages. But as of yet, there’s been nothing like the widespread discontent and even alienation from the mainland seen in Hong Kong. One reason for the discrepancy: while young people in Hong Kong feel increasingly economically marginalized, a fact they blame on their government’s ties with mainland China, many in Macao have benefited since the official handover. The city exploded when the gambling industry, largely driven by wealthy mainlanders, took off in the early 2000s. Today, unemployment is under 2 percent and Macau enjoys a higher per capita GDP than all but three countries (Luxembourg, Norway, and Qatar). Per capita GDP has grown over 500 percent since Macau rejoined China 15 years ago. As Dingding Chen pointed out in a piece for The Diplomat, that new-found prosperity is one major reason Macau hasn’t seen the same sort of unrest that plagues Hong Kong. Yet, with 80 percent of its revenue coming from the gaming industry, Macau remains highly vulnerable to economic disruptions – and Xi’s anti-corruption crackdown could spell disaster for the gambling industry. Already, Macau has suffered its first full year decline in gambling revenue, which contributed to a 2.1 percent year-on-year drop in Macau’s GDP in the third quarter of 2014. With Beijing announcing plans for a new crackdown on the inflow of money into the SAR, things will likely get worse before they get better. Macau’s casinos have long been seen as a money laundering hub, particularly for those interested in transferring ill-gotten gains abroad. 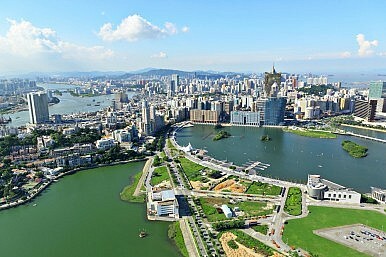 Chinese leaders are determined to end the practice, but their efforts are likely to further undermine Macau’s economy. For that reason, Beijing is pushing Macau to diversify its economy so that decline in gambling revenue won’t led to disaster for the SAR. When Xi told Macau’s chief executive that “the central government pins high hope on the new SAR government,” it was both a compliment and a veiled warning – Beijing expects real economic reform in order to ensure continued stability. It’s a tall order for new chief executive Chui Sai On, but the stakes are high. Should Macau’s economy continue to fall, local unrest is likely to rise – and China will be left without a positive example of “one country, two systems” to show to the world.